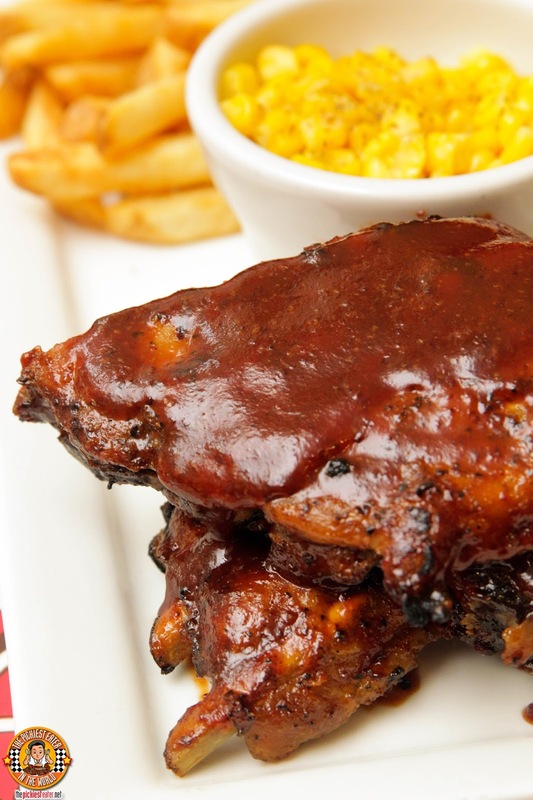 THE PICKIEST EATER IN THE WORLD: CHILI'S NEW SWEET, SMOKY AND HOT DISHES! CHILI'S NEW SWEET, SMOKY AND HOT DISHES! Though we weren't able to joy in the merriment, the other members of The KTG who couldn't make it to the Baby Shower were invited once again by our friends at Chili's to sample the new "Sweet, Smoky and Hot" menu that they served during the party. Since May celebrants Dude4food and Rina were present, our visit to Chili's turned out to be a double Birthday Celebration with some dear friends! Our meal began with the Pulled Pork Corn Cakes (P325), which I seriously could not get enough of. 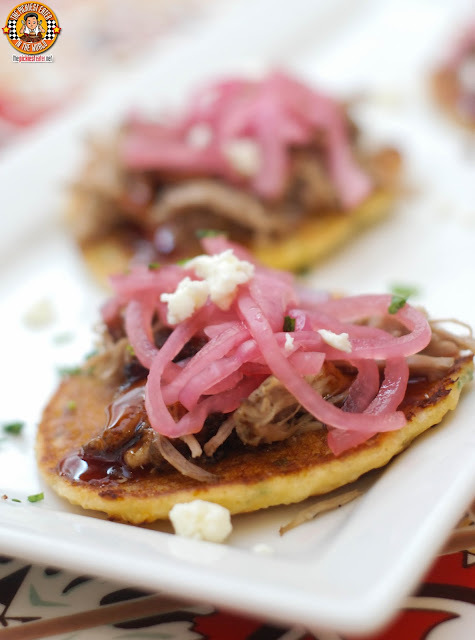 Three pieces of freshly grilled Corn Cakes topped with shredded, yet incredibly tender pork carnitas. The pork is dabbed in a delicous honey chipotle sauce, then topped with pickled red onions, and cumin lime sour cream, for an added punch of acidity, which is rounded out by the queso and fresh cilantro. 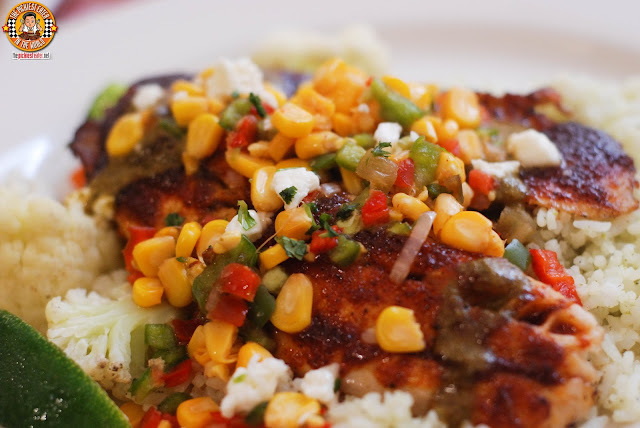 If you're looking for something lighter yet still filling, you should definitely try the Ancho Rubbed Tilapia (P425). A succulent Tilapia Fillet seasoned in a spicy ancho chili paste, then drizzled in a citrus chile sauce, topped with a corn succotash and sprinkled with queso and fresh Cilantro. The fish is served on a bed of Chili's Rice and steamed fresh veggies. With it's beautiful colors, the dish is visually stunning, but more than that, it offers an explosion of flavors in every bite. Don't laugh- but I was so eager to dig into the Sweet Mustard Seed Baby Back Ribs (Half Rack P665/Full Rack P965), that I totally forgot to take a picture of it. Can you blame me? Imagine remarkably tender pork ribs basted in a thick, sweet, smoky mustard seed infused BBQ Sauce, honey and Worcestershire sauce. What I enjoyed about the ribs, was how the chunky meat would tear cleanly off the bone, and virtually melt in your mouth. The dish that truly embodies the "Sweet, Smoky and Hot" theme of Chili's is the Smoked Garlic Sirloin (P845). 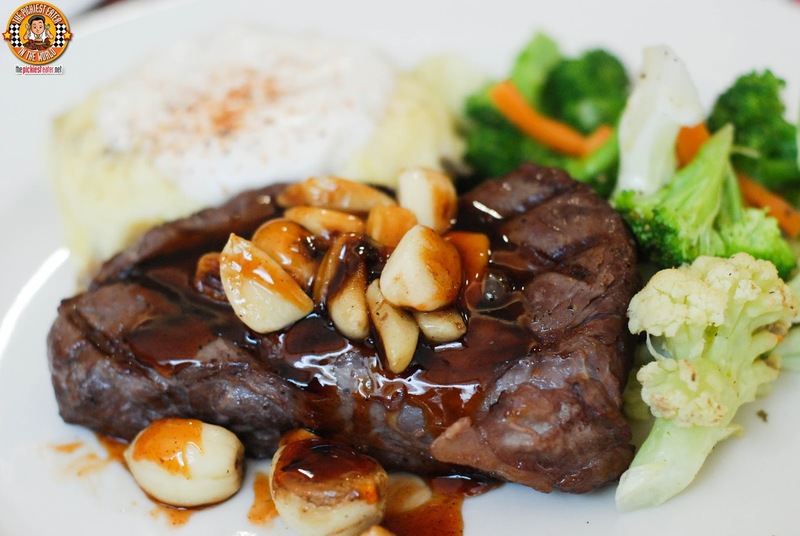 A gorgeous, smoked Sirloin steak, peppered with whole bulbs of roasted garlic, drizzled in a luscious, honey-chipotle sauce, that gives an amazing sweet and spicy kick. 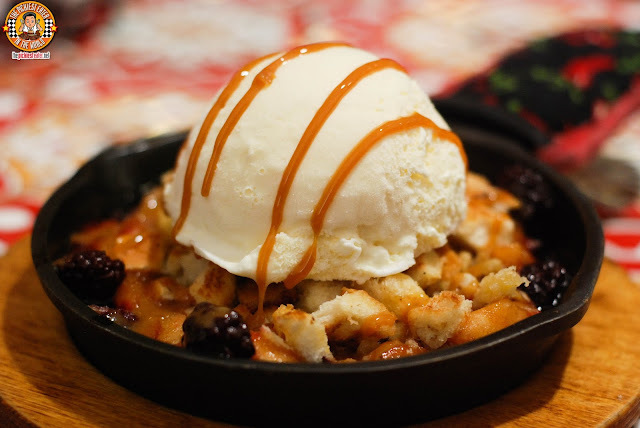 For dessert, Chili's offers the new Apple Berry Cobbler (P345). For Chili's take on the country classic, Cinnamon Apples and Blackberries are mixed into a delicious house made nut crumble topping and topped with vanilla ice cream, which serves as a great balance to the natural tartness of the fruits. Chili's Sweet, Smoky and Hot menu is available until June 28, 2015, so I suggest you try this soon! SM Megamall, and Fairview Terraces. 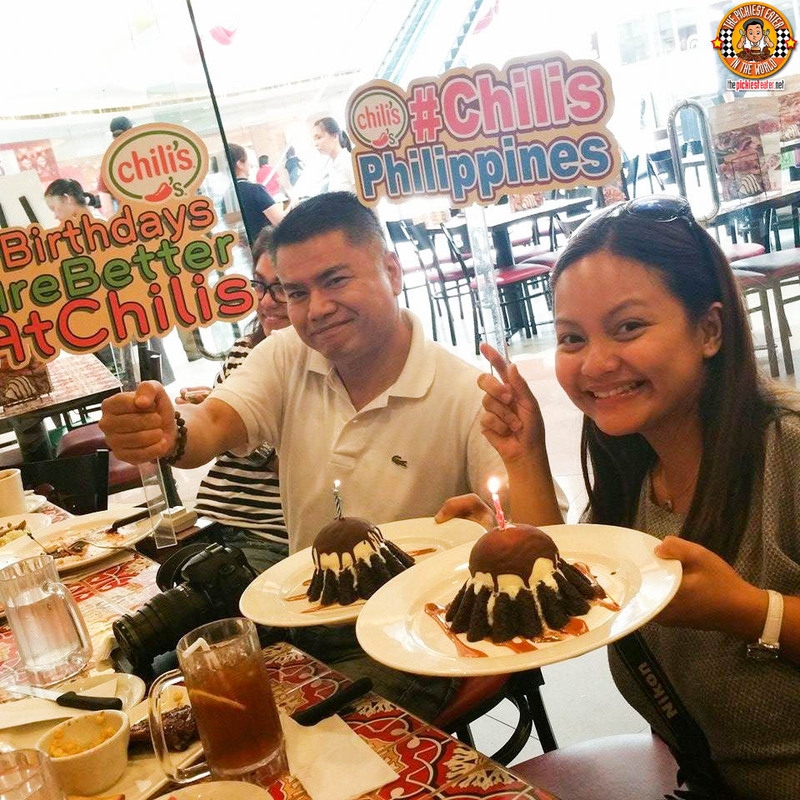 Like Chili's Philippines on Facebook! LE PETIT SOUFFLE: SOUFFLE SO GOOD! ENJOY F1 HOTEL'S LUZVIMINDA 3: PISTANG PINOY!